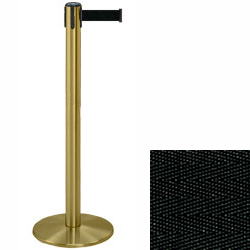 Brass Stanchions with Black Belt | 24 lbs. 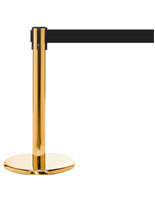 These brass stanchions with black belt are great for use as crod control in lobbies, banks, waiting rooms and food lines. 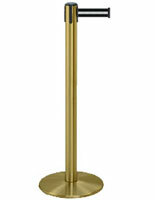 Each stand is made of durable metal with an attractive satin finish. 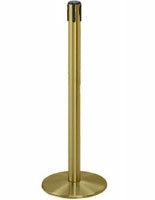 The brass stanchions feature a sturdy design because they have a 13.5" diameter base that keeps them stable in high traffic environments. The satin metal fixtures stand 38" tall and their retractable band measures 7.5' long. The lobby stanchions weigh 24 lbs. making them easy to bring to new locations. 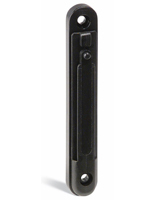 The crowd control stands are 38" tall and are from the Tensabarrier line.